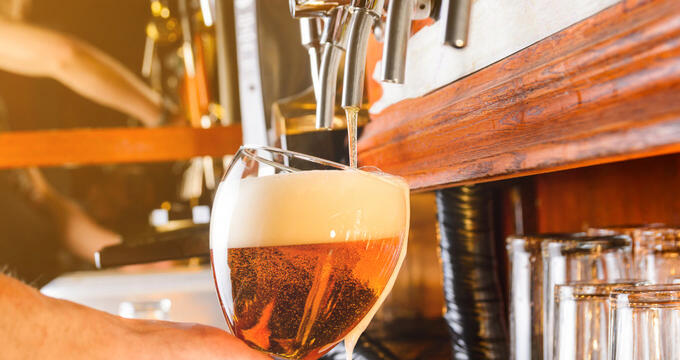 Rhode Island’s first known brewery dates all the way back to the 17th century, with the establishment of a brewhouse by Providence’s Sergeant William Baulston in 1639. As the expression goes, one man’s trash is another man’s treasure – but at these amazing flea markets in Rhode Island you’ll find more than just a jumble of odds and ends for sale! Whether you come to enjoy the miles and miles of coastline, bays, and beaches or you wish to immerse yourself in the vibrant cultural scene of the towns and villages, you’ll find what you seek in Rhode Island. 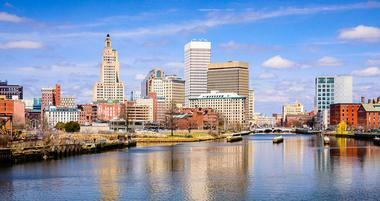 Visit Providence on your weekend trip and explore the city's architecture, museums and parks. 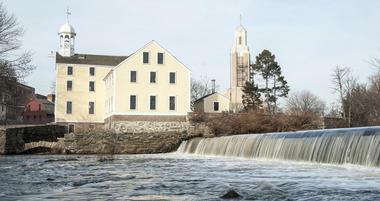 Take a tour of the Slater Mill Museum and stroll through Slater Memorial Park on your weekend trip to Pawtucket. Rhode Island is an attractive wedding destination for many couples for several reasons. Block Island is a 9.7-square-mile island located off the coast of mainland Rhode Island, approximately 14 miles from Long Island's Montauk Point. 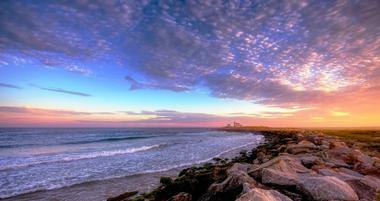 Rhode Island, known as the “Ocean State,” is home to approximately four hundred miles of ocean coastline. 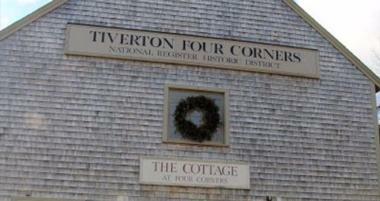 Located in the little town of Tiverton, situated on the eastern shore of Narragansett Bay in Rhode Island, Tiverton Four Corners is a beautiful historic district covering around 50 acres of land in total. It's an extremely beautiful and historic location, and one of the best towns to visit in Rhode Island. 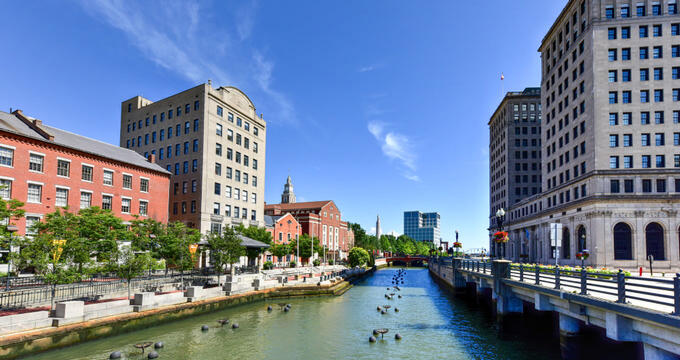 Rhode Island is a state in New England, a curious mix of history, wonderful sandy beaches, quaint Colonial seaside towns and vast green spaces full of wildlife and birds. Newport is famous for its magnificent Gilded Age mansions and sailing tradition. The state capital Providence is home to Waterplace Park and Brown University .Block Island’s historic lighthouses remind visitors of the area’s maritime past. Mohegan Bluffs offer fantastic views of the ocean and were the site of a bloody battle between Indian tribes in the 16th century. Historic Wickford Village is a quaint tourist destination, a little vignette from the past beautifully preserved. Newport is an incredibly charming city on Aquidneck Island in Rhode Island, with an elegant old square, a harbor full of beautiful sailboats and lavish mansions around every corner. Once a posh playground of New England rich and famous, Newport of today is very popular tourist destination. Stroll along Bellevue Avenue to look at the huge Gilded Age mansions such as ornate Beaux-Art 1895 Breakers, once a summer home of the Vanderbilts and today a house museum with guided tours. . Enjoy scenic Fort Adams State Park with the views of the ocean and the boats, and the jazz festival in the summer. Visit International Tennis Hall of Fame, a location of the 1881 U.S. Open championship. It has nice exhibits featuring tennis history. Visit the restored 45-foot Beavertail Lighthouse, learn more about Newport past at the Museum of Newport History and do not miss renowned Newport Art Museum. A capital city of Rhode Island, Providence is a home to highly respected Brown University and the Rhode Island School of Design, a number of opulent mansions such as the Marble House and beautiful green spaces that provide not only recreation but a background to art pieces such as Roger Williams Park. Stroll along College Hill to see 18th and 19th palatial homes, a display of beautiful architecture and lavish lifestyle. Visit RISD Museum’s beautiful display of American art and silver design. Waterplace Park has incredible WaterFire art installation, lighting up the waters around it. Roger Williams Park Zoo is a naturalistic home to more than 100 species of wild animals. Check your luck at The Towers casino. Let kids have fun at the Providence Children's Museum and the fascinating Haffenreffer Museum of Anthropology with over one million ancient artifacts. 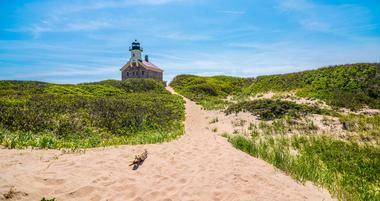 Block Island is not just a lovely beach destination south of Rhode Island mainland, but also a home to several magnificent historic lighthouses. Southeast Lighthouse is beautiful 1800s structure made of red brick, perched on the dramatic Mohegan Bluffs clay cliffs. North Lighthouse, built in 1867, is located on the island’s northern tip. The most popular island beaches are Crescent beach and Fred Benson Town Beach. Old Harbor Historic District is wonderful place to get the feel of the island and its past. 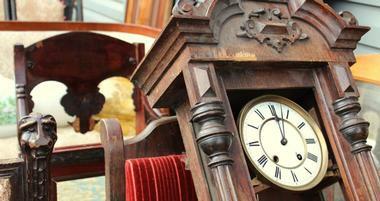 If the past is what interest you, visit Block Island Historical Society Museum. Block Island National Wildlife Refuge provides habitat to large number of birds and other wildlife. Woonsocket is a lovely Rhode Island small town that manages to combine a vibrant, urban vibe with its cozy small town charm. It is close to the major centers of Boston and Providence and has a surprising number of attractions. The Museum of Work & Culture displays memorabilia and artifacts from the City's past, with special focus on the history of French-Canadian immigrants. Veterans Memorial Museum honors the brave Woonsocket residents who have served the country. The Stadium Theatre Performing Arts Centre, 1920’s Vaudeville Theatre, offers musicals, murder mysteries, comedy shows and much more. Shady, scenic banks of the beautiful Blackstone River are a wonderful place to explore on a bike or on foot. River Island Arts Park offers Movies in the Park, free concerts and various festivals. East Providence has a long and fascinating past. It was established in 1641, when the Plymouth Colony bought the land from the Indians in what became known as the "North Purchase." Today, it is a lively mix of old and new and great pleasure to explore. The John Brown House is the first major mansion built in Providence, now open to visitors. India Point Park is a scenic, beautiful park overlooking the point where the Providence River and Seekonk River meet. Haines Memorial State Park is overlooking the Narragansett Bay and is a popular picnicking, fishing and sports spot. Seekonk Grand Prix amusement center has go-kart tracks, mini-golf and bumper boats. The Looff Carousel is a historic 1895 carousel that kids love. Pomham Rocks Light is a 1871 historic lighthouse about 200 yards from the shoreline. Settled by English colonists at the beginning of18th century, Coventry’s participation in the industrial revolution started with the first mill, and then grew rapidly through the 19th century with a large number of factories, which surprisingly managed to stay very well preserved and are today witnesses to the city’s past. Surrounding villages such as Quidnich and Antony also stand almost like the time stopped. Some of the historic houses like the General Nathanael Greene homestead are today a tourist attraction, and so is the historic Paine House Museum in the village of Washington. The historic Interlaken Mill Bridge crosses the Pawtuxet River near the site of the former Interlaken and Arkwright mill complexes in Coventry. The industrial past is nicely balanced with the lovely green, lush Maxwell Mays Wildlife Refuge, with an interesting mix of habitats such as wetlands forests, ponds, streams and meadows. Middletown is Rhode Island town best known for its miles of spectacular sandy beaches and beautiful unspoiled nature preserves, a perfect combination for wonderful outdoor recreation. One of the most popular public beaches is Easton's Beach, with expanses of fine white sand, an old carousel, cabanas for rental, playgrounds and all sorts of seasonal events. Sachuest Point National Wildlife Refuge has more than 2.5 miles of trails through the beautiful wilderness. There are also viewing platforms for close-up observation and nature photography. National Wildlife Refuge is a the 242-acre park located on a peninsula between the Rhode Island Sound and Sakonnet River, very popular for long walks along the ocean, fishing and bird watching. Norman Bird Sanctuary is another lovely hiking space with a lot of bird species. Miantonomi Memorial Park remembers WWI war and features a WWI stone tower and lovely hillside bay views. Whitehall Museum House is an old historic farmhouse converted into a museum. Cumberland is an interesting town in the lower Blackstone Valley in Rhode Island, with a fascinating mix of history and nature. The town was known for iron works used to make cannons and cannonballs during the French and Indian War and the American Revolution. Cumberland was settled in 1635 and you can see an example of the early architecture in the Arnold House, built in 1693, so called ‘stone ender’, with a large chimney. A popular tourist attraction, "Nine Men's Misery" is a tomb discovered in the former Trappist monastery, converted into the Edward J. Hayden Library. Kelly House is a House Museum, featuring the exhibits on the transportation through the Blackstone River Valley.Blackstone Gorge is a beautiful spot on Blackstone River, with hiking trails that lead to a beautiful waterfall. Johnston and the area around it were settled in the seventeenth century by the English settlers, peaceful farmers who worked the land and built large, rustic stone houses that survived the ravages of times. One of such houses is 1691 Clemence Irons House, known as a “stone-ender.” The town has a number of beautiful parks. Snake Den State Park covers 1,000 acres of former farmland and is now a popular hiking area. Powder Mill Ledges is another green space, formerly a 120-acre private property, with dense woodlands and fascinating rock. The park hosts Audubon Society’s headquarters, and often has interesting programs and events. Twin Rivers Beach East is part of Captain Stephen Olney Memorial Park and has a nice playground with slides,swings and climbing features. Newport, Rhode Island, has a number of distinct neighborhoods, each unique and fascinating. The Ocean Drive Historic District covers the street with the same name on the Newport’s southern shore. It was recognized as National Historic Landmark District in great part because of the beautiful architecture and Frederick Law Olmsted distinct landscaping, informal and less ostentatious than the neighboring Bellevue Avenue. Homes in the district occupy large lots along the beach, overlooking the ocean. Ocean Drive starts at an intersection with Ocean Avenue, follows the shoreline and Brenton Point State Park on Aquidneck Island before ending south of Fort Adams. The area consists of low open hills and dunes with a bit of scraggly vegetation and is mostly residential. You will come across two stone bulls at the entrance to the Colt State Park at the outskirts of Bristol, Rhode Island, as you drive along one of the most scenic coasts in the country. Once a farm belonging to the industrialist Samuel P. Colt.Colt, the park is a 464-acre public space with vast expanses of lawns, an old barn, a curving stone wall, four miles of hiking, biking and horseback riding trails, fruit trees, bushes in full bloom, playfields, a museum, a large shady grove with more than 400 picnic tables and so much more. There is also a fishing dock and the open-air Chapel-By-The-Sea. The views of the gleaming waters of Narragansett Bay from just about anywhere in the park are breathtaking. Looming above lovely sandy beach on the north shore of Block Island are Mohegan Bluffs, massive 150 feet high clay cliffs with a long history. The area was a site of a bloody battle between the native Niantic tribe and the invading Mohegan Indians in the early 16th century. The view from the bluffs over the bay all the way to Montauk on Long Island is spectacular. 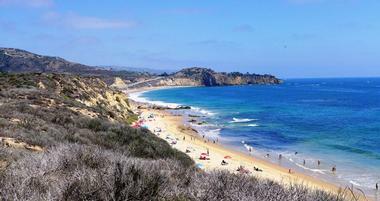 There are 141 steps scaling the steep cliffs and leading to the charming, secluded beach below. 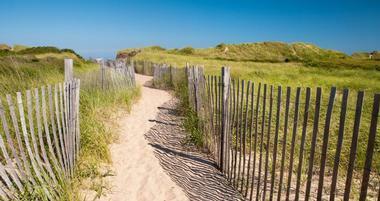 While a bit rocky, the beach is considered to be one of the most beautiful on Block Island. The bluffs are one of the stops on the Block Island scenic Bicycle Tour. Just off Newport’s renowned Ocean Drive, where Atlantic Ocean meets Narragansett Bay, is beautiful Brenton Point State Park. Popular park has long and illustrious history as a location of the large Hammersmith Farm, a residence of the former Newport governor William Brenton, who died in his Rhode Island home. The lovely urban park is famous for its breathtaking view of the ocean, lush well maintained gardens and a network of hiking and biking trails. The park is very popular with families who love to spend weekends having a picnic – there are 20 tables with benches and grassy lawns to throw a blanket on or for kids to run around. Federal Hill is one of several Providence distinct historic neighborhoods. With cobblestoned streets, quaint food markets, fine restaurants and delicious bakeries, it is considered to be a heart of Providence. Federal Hill starts with elegant Broadway street, with beautiful architecture, historic Columbus Theater, fine restaurants and many local merchants, and stretches all the way to Cranston and Westminster streets. Atwells Avenue is the neighborhood’s cultural center, with many great restaurants and signs of strong presence of the Italian immigrants that settled in this part of the city. The arch over Atwells Avenue gateway close to the Downtown has a Pine Cone sculpture hanging from it, a traditional Italian welcome symbol. While most of the neighborhood is residential, it is also home to the Renaissance Hall Dormitory of the Johnson and Wales University. Located in the city center, Narragansett Town Beach is a mile long classic New England sandy coastal beachfront, covering about 19 acres, easily accessible, with ample parking and with excellent facilities. The beach is believed to have the best surfing in New England with smoothly curling large waves. Strolling along the beach is a popular activity and if you head north you will reach the point where the Pettaquamscutt River enters the sea. The beach has two pavilions with changing rooms, rest rooms and a snack bar. There are lifeguards on duty during the season and Narragansett's lifeguards are famous for winning the lifeguard annual competition held on the beach. Wickford is a small village in the town of North Kingstown, Rhode Island, on the west side of Narragansett Bay, about a 20-minute drive from Newport, across two bridges . The village is snuggled around one of the best-protected natural harbors on the east coast. Long before the village was settled by the British in 1637, the area was used as hunting and fishing ground for the native Narragansett people. Wickford has a surprisingly large number of wonderfully preserved 18th century houses still standing on original foundations and mostly unchanged. The village is incredibly picturesque with charming waterfront streets, unique little boutiques, antique shops, fine art galleries, cafes and restaurants. The village churches are beautifully maintained and are a must stop. Every July Wickford Village hosts the Wickford Art Festival, which attracts a large number of renowned artists from all over the country and the world. Sachuest Point National Wildlife Refuge is a 242-acre protected area located on a peninsula between the Rhode Island Sound and the Sakonnet River, on the outskirts of the town of Middletown. This very popular area is an interesting mix of habitats, including salt marsh, strands of beaches and upland shrubs, which provide home to the large winter population of harlequin ducks and more than 200 other bird species such as northern harrier, peregrine falcon and the snowy owl. The area was once used for horse racing and as a Naval Communication site. Today, it is very popular with bird watchers and hikers who enjoy a network of 2.5 miles of trails crossing the refuge. Saltwater fishermen also come in large numbers to this renowned fishing spot. The refuge is managed by the Rhode Island National Wildlife Refuge Complex, with the help of volunteers. Misquamicut State Beach is a state park in the town of Westerly, Rhode Island, and is part of the larger, three-mile long Misquamicut Beach that stretches between Weekapaug and Watch Hill and separates nearby Winnapaug Pond from the ocean. Beautiful sandy beach has excellent facilities mostly congregated in the large pavilion designed to look like a village, with a bathhouse, a gift shop, showers and a lifeguard tower. The new decking is made of a new environmental compound made of wood and recycled plastic. The beach also has a wonderful kids’ playground. It is very popular and it can get crowded on holidays or during the two annual music festivals – Fallfest and Springfest. Scarborough State Beach is a two-part state park in the town of Narragansett, Rhode Island, located at 870 and 970 Ocean Road, a northern and southern facility, or popularly known as the Olivo’s and Lido’s beach areas . This beautiful sandy beach is one of the most popular beaches in Rhode Island, great for swimming, sunbathing, picnicking, nature watching and long walks along the concrete boardwalk with shady gazebos and observation tower. The beach and its pavilion date from 1937, and had xtensive renovations in 1987. There is a lifeguard on duty during the season. No dogs are allowed. Napatree Point in Rhode Island is a long, 1.5 mile long narrow sandy peninsula created by longshore drift and ancient glacier action. It extends westward from the village of Watch Hill, creating a small protected harbor. It forms the westernmost and southernmost point of Rhode Island. Once heavily wooded, Napatree Point was stripped of all vegetation during the Great September Gale of 1815. The Napatree Conservation Area is a popular beach destination and the protected area for many vulnerable birds such as osprey, egrets, falcons, herons, many kinds of shore birds and the occasional raccoon and deer. The area is very popular with hikers. Goddard Memorial State Park is a 490-acre urban state park in Warwick, Rhode Island. 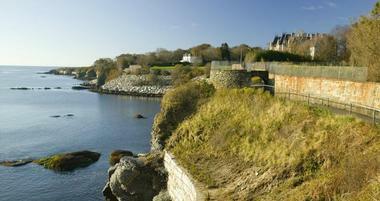 It stretches along the scenic shores of Greenwich Bay and Greenwich Cove. The park grounds were once the estate of Robert Goddard, Rhode Island politician and Civil War officer. His children gifted the land in 1927 to the state in memory of their father. Today, the park is one of Rhode Island’s most popular public green spaces and it features an 18-mile equestrian trail, a nine-hole golf course, swimming beach, picnicking facilities, canoeing area and a performing arts center. Vast green lawns, forest groves and rolling fields attract local residents on weekends and holidays. The forest contains 62 species of deciduous and 19 species of evergreen species of trees from all over the world. The Blackstone River Bikeway is a 48-mile paved rail trail through the Blackstone Valley from Providence, Rhode Island, to Worcester, Massachusetts, in what is known as a Heritage Corridor. From there it will link with the existing East Bay Bikepath and Bristol, Rhode Island. The construction of the trail is still ongoing. At the moment, about 20 miles of the Bikeway have been finished, including almost 14 miles of off-road bike path. The bikeway is planned to serve as an alternate transportation mean for commuters, and as the major recreational biking facility in the region, connecting some of the largest New England's cities. The Blackstone River Greenway is also a section of the 3,000-mile long East Coast Greenway trail system that connects cities from Maine all the way to Florida. Located in the town of Charlestown, Rhode Island, Burlingame State Park and Campground is a state park and popular recreation area next to Watchaug Pond and the National Audubon Society's Kimball Wildlife Sanctuary. The park is locals’ favorite spot for camping, swimming, picnicking, fishing and boating. There is a public boat-launch ramp and hiking trails that connect the park’s campground and the nearby Kimball Wildlife Sanctuary. The park is full of wildlife and it is not unusual to encounter deer, rabbits, mink, foxes, muskrat, otters and weasels. There are also almost 80 species of birds that nest in the park, and more that pass through the area during the annual migration season. The campground is huge, covering 100 acres and has 713 campsites, freshwater beach, a camp store and a store renting canoes.